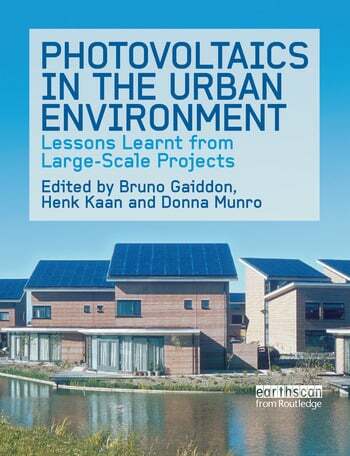 The concept of cities as potential photovoltaic power plants is rapidly gaining prominence, but until now there has been no large scale study of the impacts of such development on urban fabric and infrastructure, or on inhabitants. This book, based on wide-ranging studies supported by the European Commission and International Energy Agency, is the first to properly address these issues. Bruno Gaiddon is Photovoltaic Unit Manager at HESPUL, a renewable energy consultancy based in Lyon, France. Henk Kaan is Senior Researcher at the Energy Research Centre of the Netherlands, ECN. Donna Munro is a renewable energy consultant in the UK.